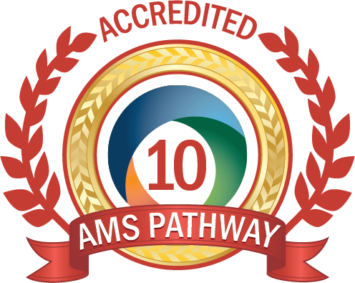 THE SPRINGS is a fully accredited school through the American Montessori Society (AMS) and the AdvancEd: Southern Association of Colleges and Schools (SACS). THE SPRINGS is one of only three Montessori schools in Northern Virginia with this prestigious recognition. THE SPRINGS also holds an accreditation through the National Council for Private School Accreditation (NCPSA). “The Accreditation begins with an intensive self-study, by the school, involving the school’s entire community—students, staff, faculty, administration, board members, and parents.